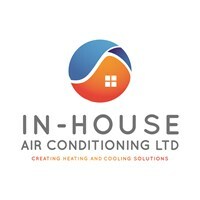 In House Air Conditioning Ltd - Air Conditioning based in Newcastle upon Tyne, Tyne and Wear. In - House Air Conditioning Ltd is a family business which has over 15 years experience in the Air Conditioning trade. We are able to offer a friendly, bespoke and competitive service ensuring the best quality products at the best value for all our customers by keeping things In-House. We undertake all work regardless if it is a big commercial job or a single fitted domestic unit, all maintence work is also undertaken. There is much misconception around air conditioning as it is best known for its cooling abilities, however air conditioning is one of the best, most efficent ways to heat a space, this makes it ideal for spaces in our homes especially lofts, conservatories and open plan downstairs living spaces. We are able to offer free no obligation quotations and are happy to come out and show what we can offer to make your spaces much more comfortable to use all year around.